I got this book from the library and this was one of the first recipes I tried. My husband and I realy liked these nuts. 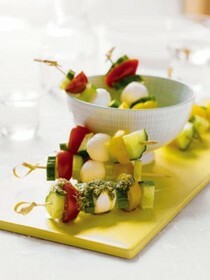 I will be adding this recipe to one of my favorites!! Only issue is that I found only about 10 other recipes I wanted to try from the book. Will have to see if I change my mind. I didn't make the cucumber, tomato, & fennel relish that went with this fish. No salt was called forthe recipe and I thought maybe because of the Parmesan. It does need a bit of salt. All the ingredients in a loaded baked potato in potato salad form. Delicious. Made this squash with chives and basil and it turn out great!! I think spaghetti squash is my favorite vegetable. need to be about hurrying through an assortment of processed products. The midday meal is a fabulous opportunity to enjoy delicious ingredients and flavour - packed dishes and to slow down while you eat (even if just for a few moments). 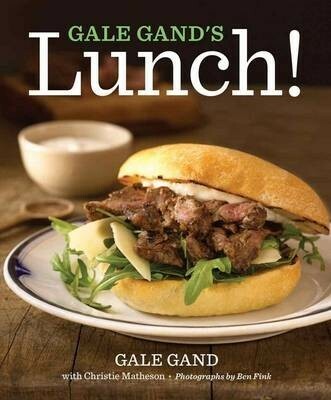 Acclaimed chef Gale Gand shows you how to make it happen - simply and easily, and for a fraction of the price of prepared salads and sandwiches. Gand offers 150 recipes - including plenty of kid-friendly fare (tested and approved by Gand's own children) - along with tons of tips for packing foods to go or turning lunch into a celebration with friends and family. As Gand says, when it comes to entertaining, "lunch is the new dinner." Chapters on soups, pastas, salads, grains, fruits, and more, as well as desserts, drinks, dips, and snacks, provide countless combinations for memorable meals at home or on the go.